Bogor Botanical Garden Built in 1817 by Prof. G Reinwardt on 200 hectare area, the best known garden for tropical plants in the world will amaze you with more than 15,000 plant species. You might see the Presidential Palace from this place. Note: Duration of tour time on Sunday / holiday might be a due to traffic hour. Bogor can be located in the suburb of Jakarta city located 60 kms south of Jakarta city. The city has a very nice Botanical Garden with very famous weather with Bogor Botanical Garden. The park has more than 15,000 species from the world wide. Bogor has also Safari Park, as beautiful panorama as Bogor Botanical Garden, the park has become a popular tourist place for people from Jakarta and Bandung, or even foreign tourists. The area between Bogor and the Puncak Pass is a water reservoir of Jakarta city with it’s forever green. Today dozen of villas are scattered around the area up to the Puncak which is the most sought-after overnight hide away. 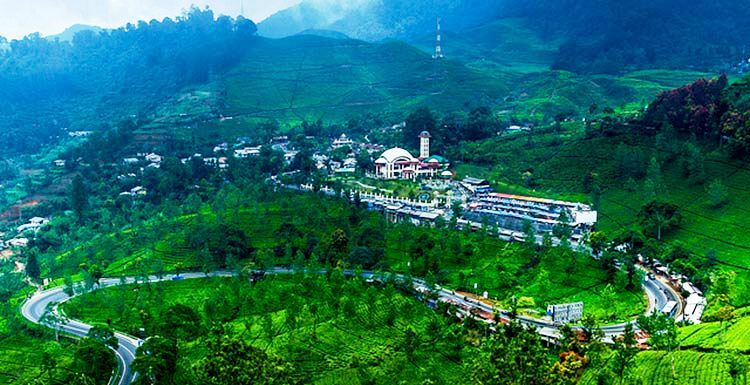 Peak Pass is well known from Dutch era of 19th century as a place for tea estate with magnificent green plateau views. Today the tea plantation is still managed by the company belong to the state called Plantation Enterprise. Here you will see the pick-up of young tea leaves, processing, and even the taste of the original tea produced locally. The area around Puncak which is often referred to as Puncak Pass is the route from Jakarta to Central and East Java. The route from Bandung to Jakarta via Bogor is the most beautiful view that one could enjoy in Java after the natural beauty of Mount Bromo and Mount Ijen in East Java. 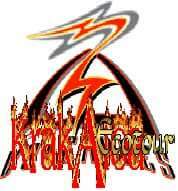 This area is a highlight of what is called Java Overland tours starting from Jakarta to the eaterntip of Java island. The area from Bogor to Cisarua town has been a problem for the city of Jakarta because of the most important things to do by investors to build villas, recreations and hotels. This project has caused a great potential in the rainy season and has a great flood in the city of Jakarta. Upon arrival at Soekarno-Hatta airport in Jakarta, you will be met by our representative and transfer to your hotel in Bogor. The Bogor City Tour includes a visit to the Botanical Gardens, located at the heart of Bogor. It is a world class botanical garden, covering an area of ​​around 85 hectares. Officially opened by the Dutch in 1817, it was from these gardens that there were early crops such as tea, cassava, tobacco and cinchona. The park is still a major center for botanical research in Indonesia. More than 15,000 plant species grow in this garden, including 400 species of palm and more than 5,000 kinds of orchids from various regions in Indonesia. Drive through the bustling city of Indonesia’s capital city, Jakarta. The first place you will visit is Sunda Kelapa old harbor. This 500 year old harbor area was vital link to the 15th Century Kingdom of Pajajaran. At present Sunda Kelapa has a shipyard and departure – location for those who are going to use Buginese sailing-boats from Sulawesi, which is all over Indonesia. You also may visit the Fatahillah Museum which was built in the 16th century; the museum is housed in the old town hall of Batavia, which is probably one of the most solid reminders of Dutch rule to be found in Indonesia. It provides the historical background of Jakarta though a display of maps and antiquities, including furniture and porcelains. (Monday & Public Holidays closed). Breakfast at the hotel. Free at leisure. Transfer to Soekarno Hatta airport of Jakarta for your next destination.